There are few scenarios where enjoyable music pumping out of a good speaker is an annoyance. Outdoor gatherings, casual cleaning sessions at home, and parties (big and small) call for entertainment that can be provided through sound. While speakers and systems are known to be pricey, there are a variety of affordable options that perform exceptionally well. We did some digging and found speakers that are worth buying now—or anytime you need a durable, high-quality speaker. 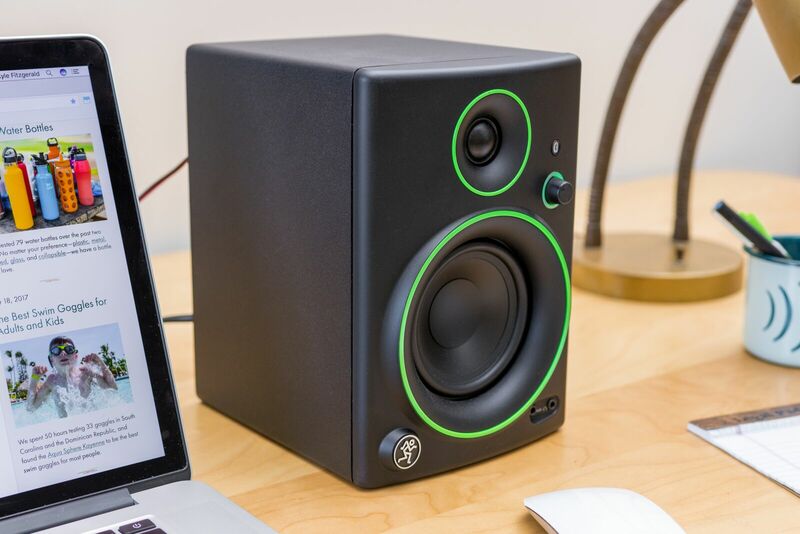 For listening to music or playing games on your desktop computer, the Mackie CR3 speakers (Amazon) are our top recommendation. The set delivers better sound than you’d expect from computer speakers in this price range. Aside from the decent sound quality, we like the user-friendliness of the Mackie CR3 best. The sturdy speakers have a front AUX input and volume knob for easy access. They can be used with a phone and have acoustic sound pads that minimize transferred vibrations. If Bluetooth is a must, a compatible adapter can enable this set. Portable Bluetooth speakers are great for taking anywhere. Our top pick, the UE Roll 2, comes with a bungee cord and whether you hang it in the shower or on a tree, it’ll bounce back from a fall. If things get out of hand at your pool party, rest in knowing that it’s waterproof and can be submerged 3 feet underwater for 30 minutes. It has a 60-foot Bluetooth range, and during testing its playback time averaged around 11.5 hours. Its bass is deep and its sound is full enough to entertain intimate or large crowds on a camping trip, picnic, a spot on the beach or at a home get-together. 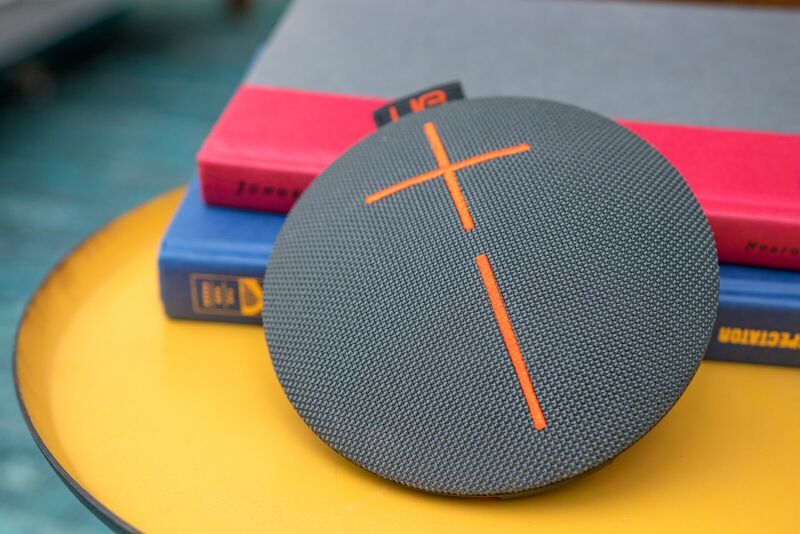 Some gatherings need a portable Bluetooth speaker that offers bigger sound than an option you can toss around. 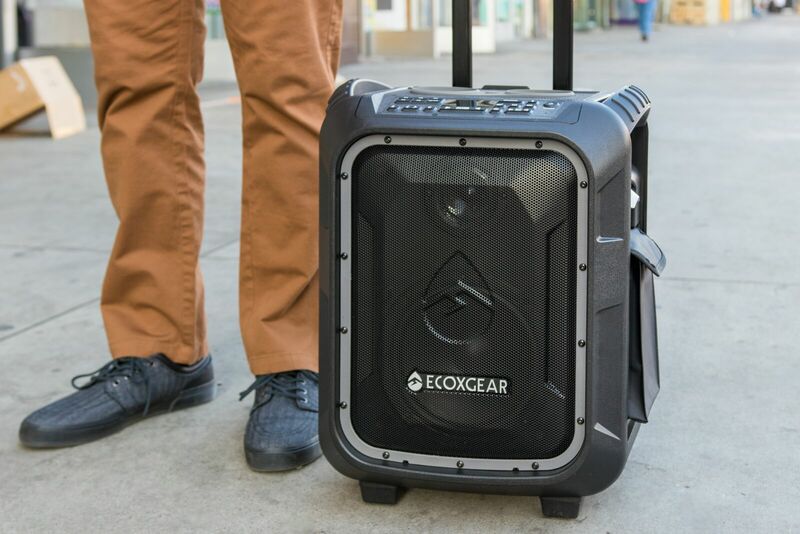 The EcoXGear GDI-EXBLD810 EcoBoulder+, our “also great” pick, will get the job done at tailgates and large outdoor parties that require high-volume sound. Though its cup holder is made for two, it has a bottle opener on its side to service all of your guests. If they need to use a microphone or speakerphone, it offers these functions, too. We like its built-in AM/FM radio, long-lasting battery life, waterproof and dust-proof design, and price, which is considerably lower than competitor models. The EcoBoulder+ is large, but it has wheels and a retractable handle that make moving it less of a hassle. A starter home theater setup doesn’t have to be packed with speakers, and it doesn’t have to be super expensive. The basic, affordable route to getting high-quality sound for listening to music and watching TV or movies is to invest in a good soundbar. 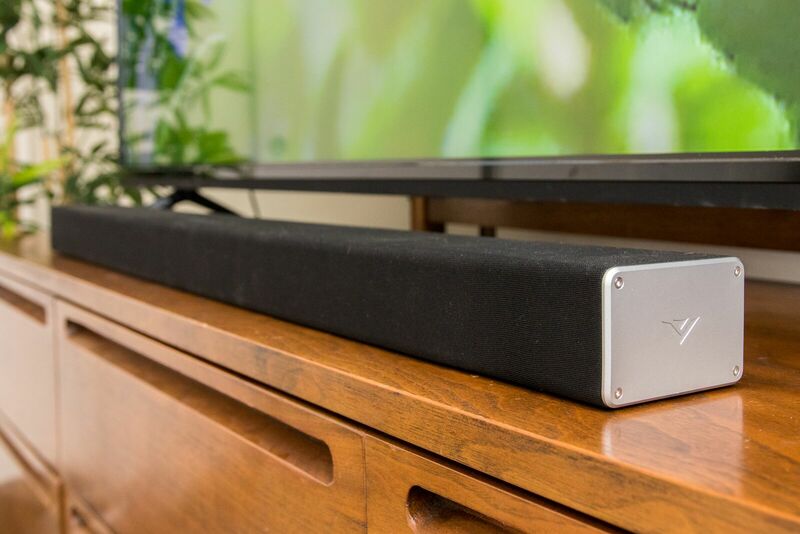 Our top pick for budget soundbars with sub, the Vizio SB3651-E6, offers the best combination of value, connectivity and performance. It doesn’t support HDMI 2.0 for external 4K sources, but you can connect video sources (game consoles, Blu-ray players, etc.) to your TV and run an optical or coax cable to the soundbar as a workaround. Its stereo mode will give your setup noticeable surround sound that makes watching movies and TV better. You can also stream music from your phone over Bluetooth, or by using Google Chromecast. Wireless multiroom speaker systems are great for anyone who wants to build out and link a home sound system. If you’re looking for an entry point to the Sonos system, the Sonos One is one of our top recommendations. It’s a newer smart speaker with multiroom functionality, which means you’ll be able to group it with other speakers, or play and control them independently. While the Sonos One is in the process of being updated to stand as a voice-controlled speaker that works with Apple AirPlay 2, Google Assistant, and Amazon’s Alexa—for now, it’s only Alexa-enabled. Still, we think it’s a great multiroom speaker addition for most homes. 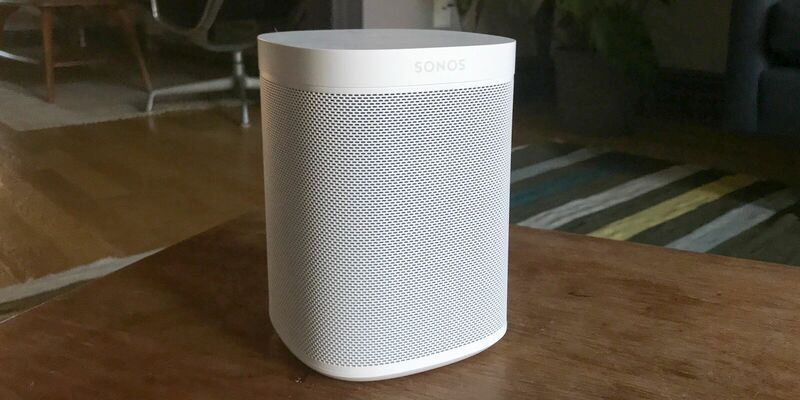 The Sonos One sounds impressive on its own, but when you’re ready to add deep bass, a bookshelf speaker, a soundbar or another Sonos One, this pick will pair seamlessly.